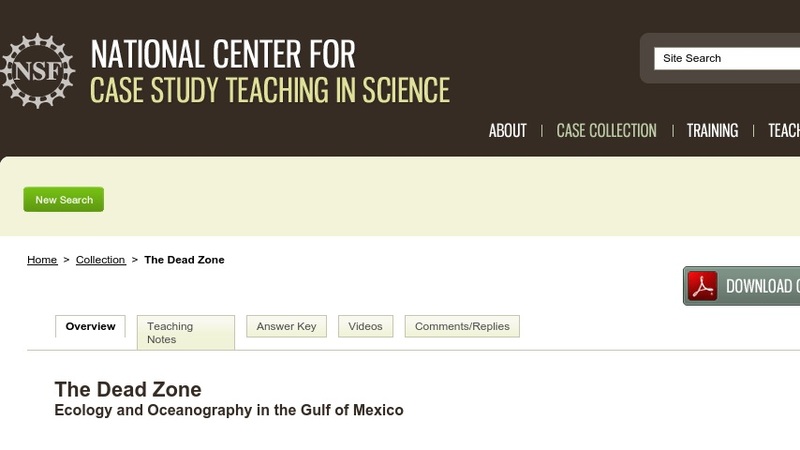 This interrupted case study focuses on the seasonal hypoxic area in the Gulf of Mexico known as the Dead Zone. It follows Sue, a college student, whose father is a commercial fisherman affected by the lack of fish in his usual fishing grounds in the summer. In her quest to determine why the fish disappear, Sue learns about both the biological and physical forces that produce, maintain, and eventually dissipate the hypoxic zone. The case introduces students to the marine food web, the aquatic microbial loop, the impact of exogenous nutrients, and the physical forces that affect oxygen content and water stratification. It could be used in introductory biology or ecology courses or in an oceanography course.